Pictured: Dr. Seng at JABSOM. Tina Shelton photo. 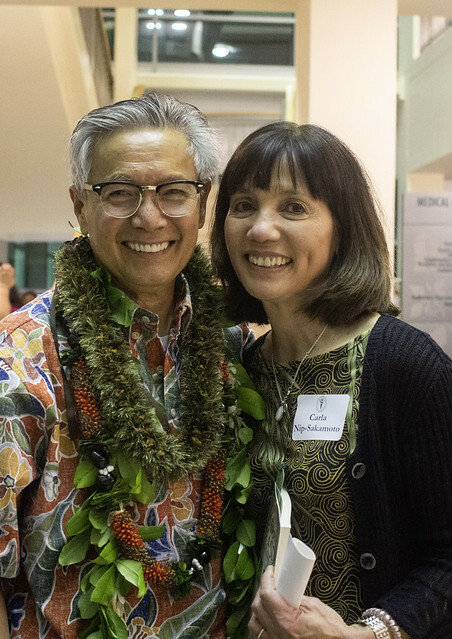 When Dr. Seang M. Seng graduated from the University of Hawaii (UH) medical school in 1988 it was a triumph unlike any other. His was a conquest over evil. He had survived the brutal rule of the Khmer Rouge and all the pain and suffering that went with it. The starvation and the deaths, one by one, of his entire immediate family in the “killing fields” of Cambodia. Seng and the woman who would become his wife were liberated by the invading Vietnamese Army, relocated to a refugee camp in Thailand, and eventually found passage to Hawaii. Their first son was born 10 days later, in Honolulu, as an American citizen. 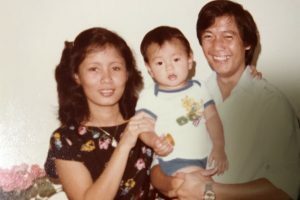 Seang Seng with his wife and first-born son in Hawaii. Helped by the Hawaii Refugee Organization, Seng was able to gain his high school equivalent degree at a class for adults held at Kaimuki High School. He studied at Kapiolani Community College and then at UH Manoa (UHM). 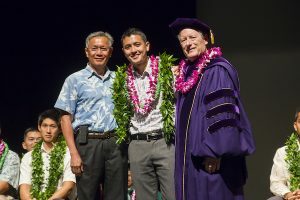 The UHM John A. Burns School of Medicine (JABSOM) Imi Hoola Program, which aids college graduates from disadvantaged backgrounds, allowed him to take the intensive pre-med course not once, but twice, to prepare him to attend medical school successfully. Dr. Kosal Seng with his father Seang Seng, MD and Dean Hedges at the JABSOM 2013 Convocation Ceremony. Medicine was a path Seng was pursuing at age 24 when his life was turned upside down in Cambodia. After graduating from JABSOM, he worked as a family medicine doctor in Modesto, California, where many of his fellow Cambodian refugees were resettled. All three of his children are training in medicine, including a son, Kosal, who also graduated from JABSOM in 2013. 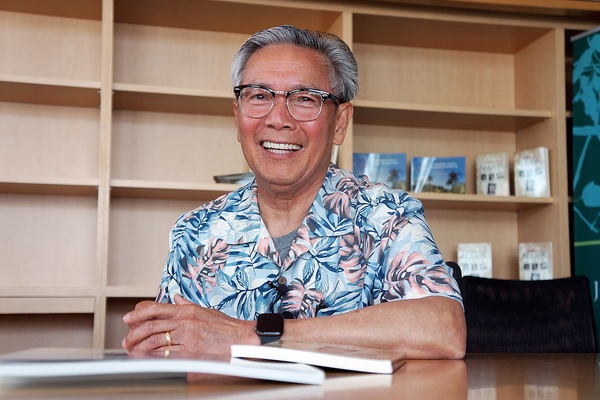 Dr. Seang Seng wrote an acclaimed book, “The Starving Season,” about his life and last week he returned to JABSOM to inspire current Imi students, and to speak to guests at the annual Dean’s Circle event for donors to the medical school. Watch our video from the event.